Classic leather camera strap with neck pad. 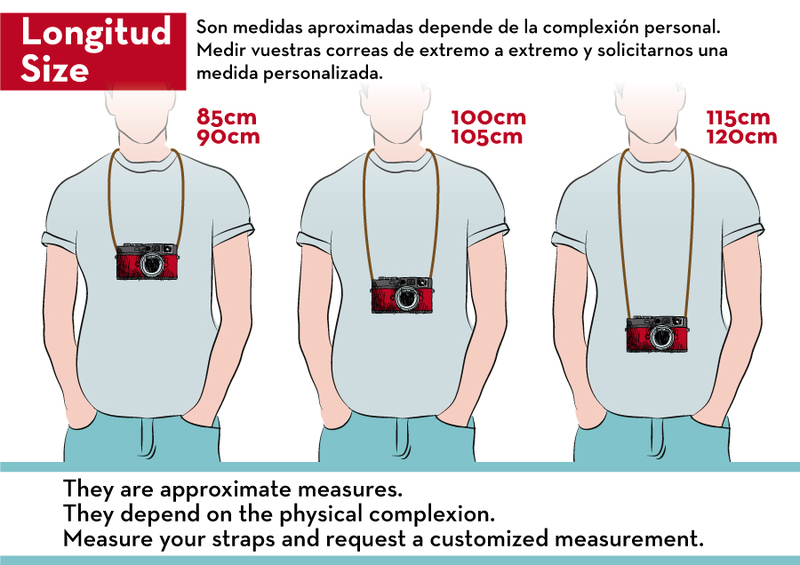 You can choose different sizes. 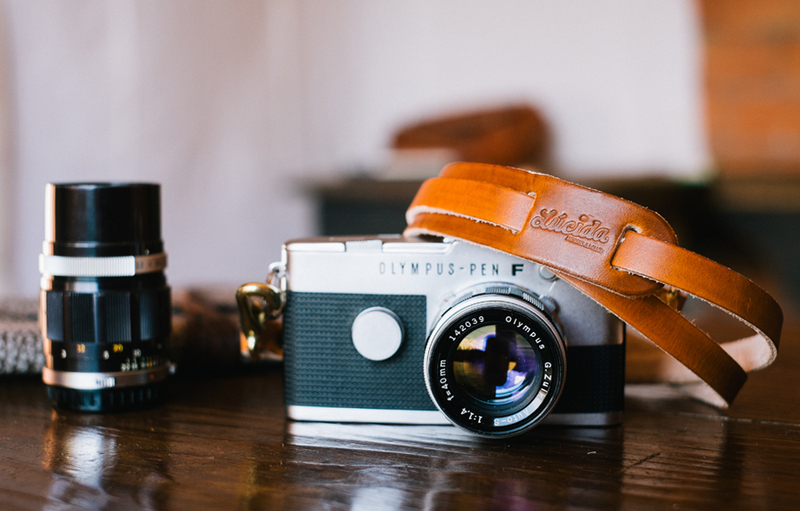 Classic leather camera strap with an elegant pad to provide comfort and a special touch. 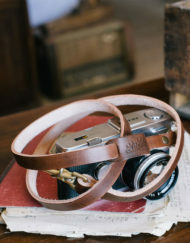 Made ​​of leather with fixed length. 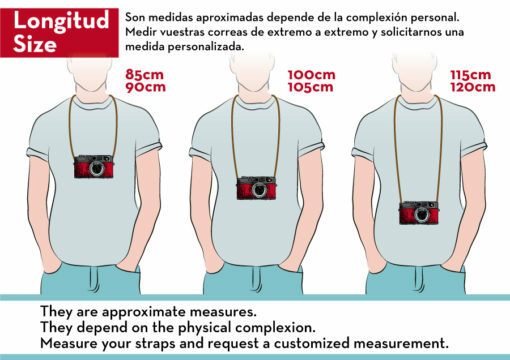 You can choose different sizes. 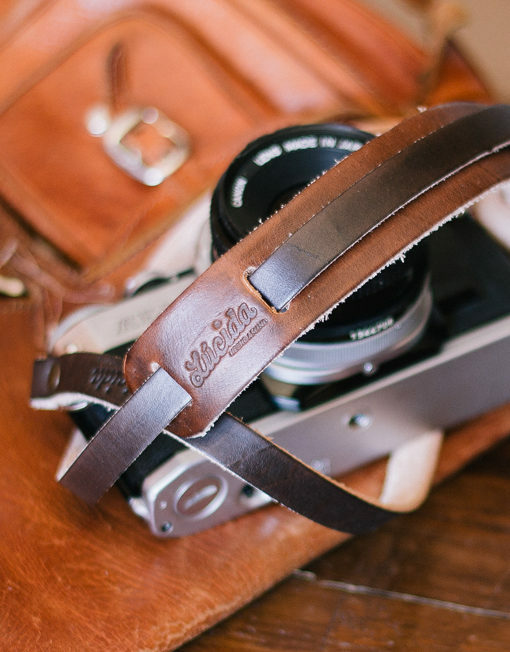 A member of the LUCIDA Series, Classic leather camera strap with neck pad designed for compact/mirrorless cameras. 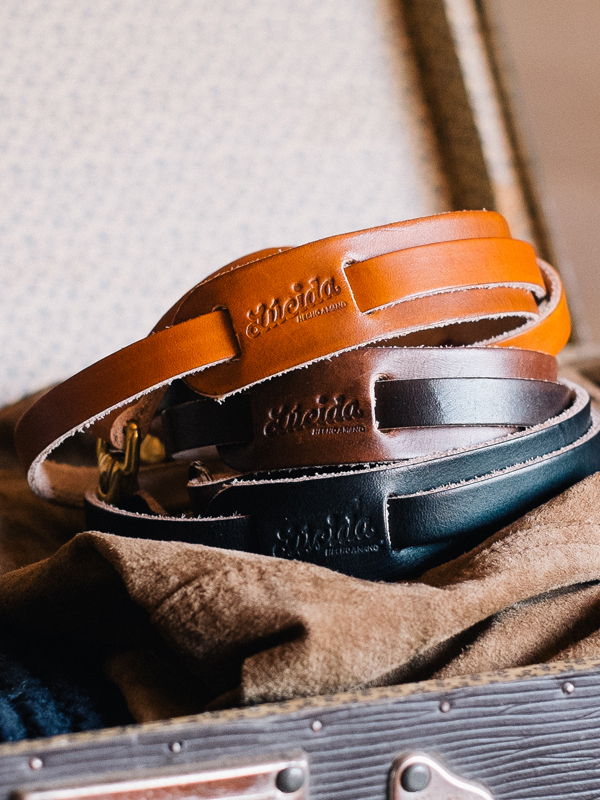 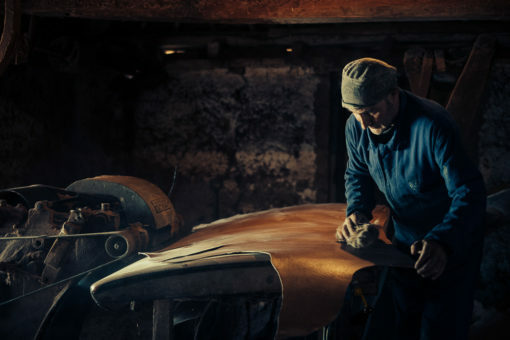 Featuring a ‘floater’ type full-grain leather top-piece and based on the principles of classic, simple, durable and functional design of our products. 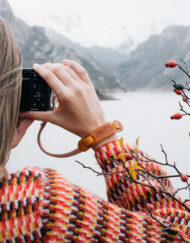 Made with completely handmade process, from materials of high quality and faithful to the tradition, looking for a timeless product. 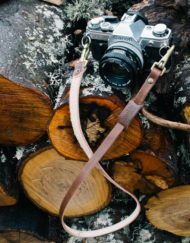 signature top-grain leather neck-piece, the Classic leather camera strap with neck pad is one of the most exquisite pieces of our camera straps collection. 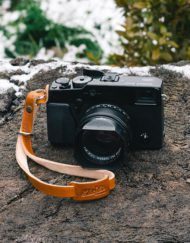 Accompanied with light brown, type top-grain leather extensions and gold-colored metal accessories, the Classic leather camera strap with neck pad is as stylish as it’s comfortable and practical. 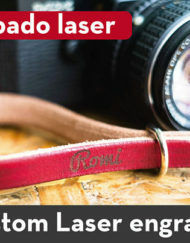 SKU: luci-17. 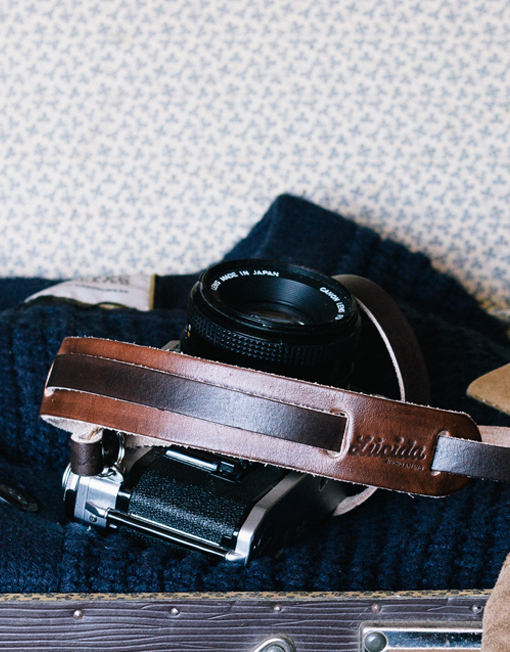 Categories: Camera Neck Strap, Leather Camera Straps. 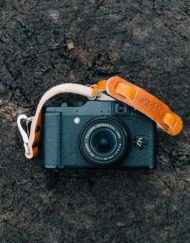 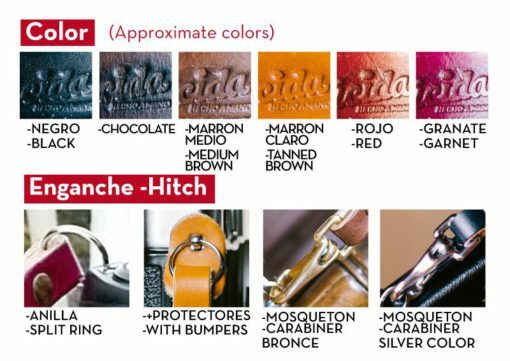 FINISHES OR HITCHS: There are several options to attach the strap to your camera. 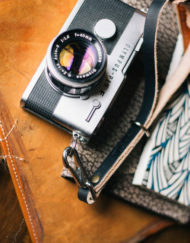 Almost all cameras are ready to accommodate steel rings as we provide. contact us if you are unsure.